Keep in mind that the pain of grief is not constant – the intensity comes and goes. Know that it will pass, and that the pain will not last. Give yourself time to grieve (feelings of grief aren’t easily "wrapped up" over night). Reduce your academic and social expectations, and don’t over-commit. Have fun when you can (remind yourself of what lifted your spirits before; do these things). Come up with new, do-able traditions for the first major holidays. 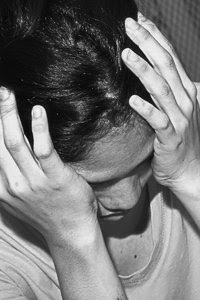 Family members are often at different stages in their grief, some may have difficulty communicating at first. You may feel like you are "backsliding" a year or so after a loss (an "anniversary" reaction). Ask yourself repeatedly what would help ease the pain, and take steps in that direction. Reach out to others. You are surrounded by a community of many caring and supportive people. We cannot escape grief. But we can take care of ourselves as we live through it.